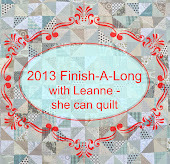 A Big Thanks to Leanne at she can quilt for hosting this fun event! I'm sorry to say that I didn't get as much done as I wanted to this quarter. Here was the original post with the lofty list. Orb Quilt - I requested this block a second time in a bee so I could have double the amount of blocks (and make the quilt double awesome), but sadly, I am still waiting on one more to arrive so this isn't done. Big 10 Quilt - I am 3 seams away from completing the top, but it isn't done either. Mondarin - blocks done, need to sew together - Forget it. I'm not feeling this one so will no longer put it on a finish list. Don't be surprised if one day though, I just finish it up and show it to you! Churn Dash - The blocks are done but I still need to decide on a design and sew them all up. 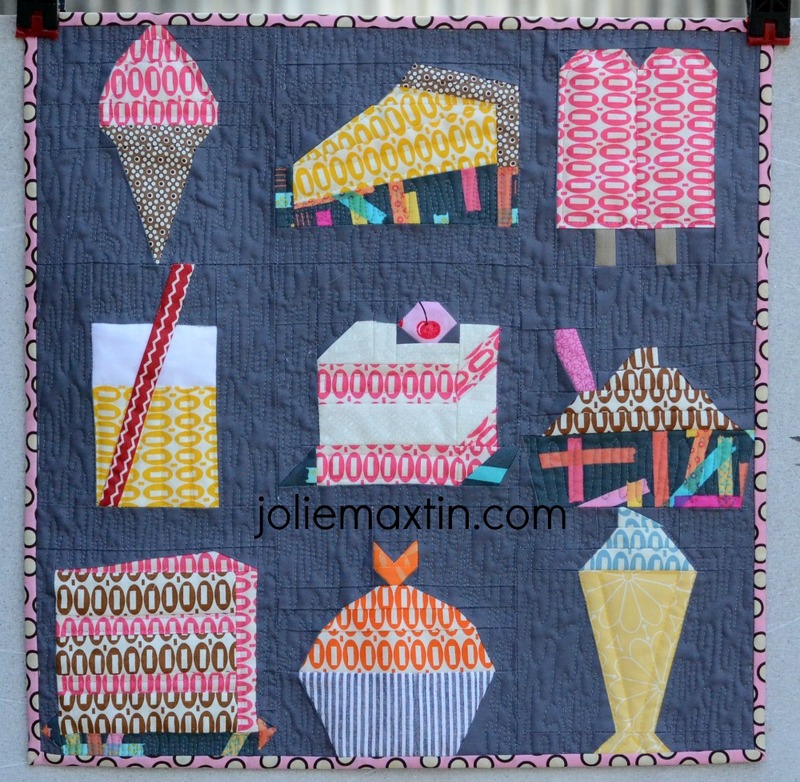 I have decided not to do a low volume quilt. I just got caught up in all the hype and wasn't doing it because I wanted to, so now, I'm not doing it at all. 2 M quilts, one is basted and one almost has the top done, you will hear about both of them soon. Baby Allen is going to get this quilt, I only have the label left and it will be heading to Washington, D.C.
Canada/USA Quilt is waiting for a big maple leaf.